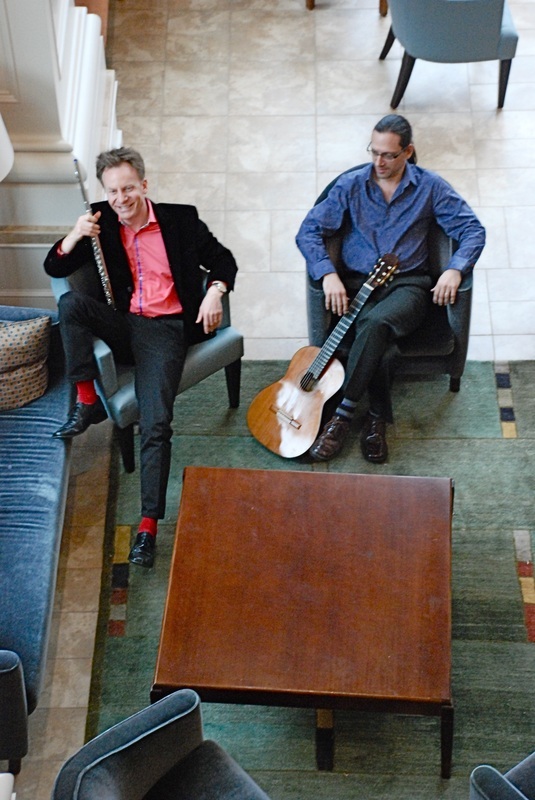 ECHO is a duo dedicated to bringing a sense of musical adventure, of intellectual discovery, of wit--in short, of fun--into the world of flute/guitar chamber music. Their performances unite virtuosity and artistic accomplishment of the highest order with a uniquely warm and engaging stage presence to remind audiences of the pure pleasure, as well as the beauty, that can be a product of a live performance. Their programs, which are composed in large part of brand-new pieces and original arrangements of older ones, fuse the new with the known and the classic with the popular to offer audiences something rarely encountered in the concert hall: serious fun. 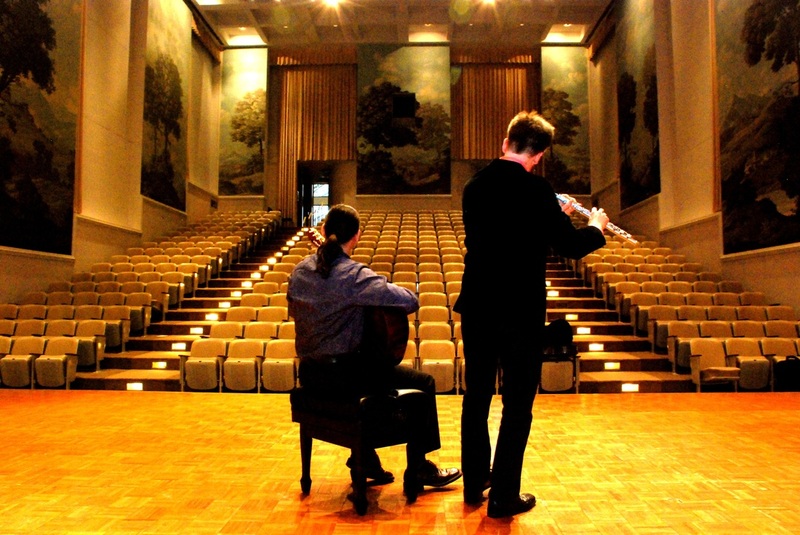 Praised by Eliot Fisk for their “extraordinary rapport and sensitivity,” Chris Vaneman and Brian DuFord began playing together as Echo at the Yale School of Music in 1992. They performed busily over the next ten years, playing dozens of concerts up and down the Eastern seaboard. They spent two summers in residence at the Norfolk Chamber Music Festival, played several times at St. Patrick’s Cathedral in New York, and concertized in innumerable other venues in New York, Philadelphia, Connecticut, the Carolinas, and probably other places besides. They premiered several new works and made original arrangements of over a dozen new pieces for flute and guitar. They reunited in 2011 after a ten-year hiatus.